Beautygeeks has a new awesome giveaway! Enter to win a collection of Flow haircare items! 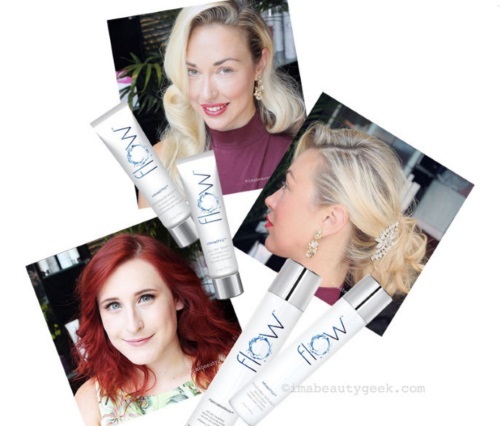 Flow is a Canadian professional haircare brand whose philosophy spins on sustainable manufacturing and specially purified water that contains zero impurities to interfere with each formula's key ingredients. Two Beautygeeks readers will win the following items: Flow AquaOasis Hydrating Cleanser, Flow AquaOasis Hydrating Conditioner, Flow InstantIntensity 30-Second Treatment and Flow Impeccable Finish Fast-Dry Hairspray. Contest closes Saturday, February 20, 2016.